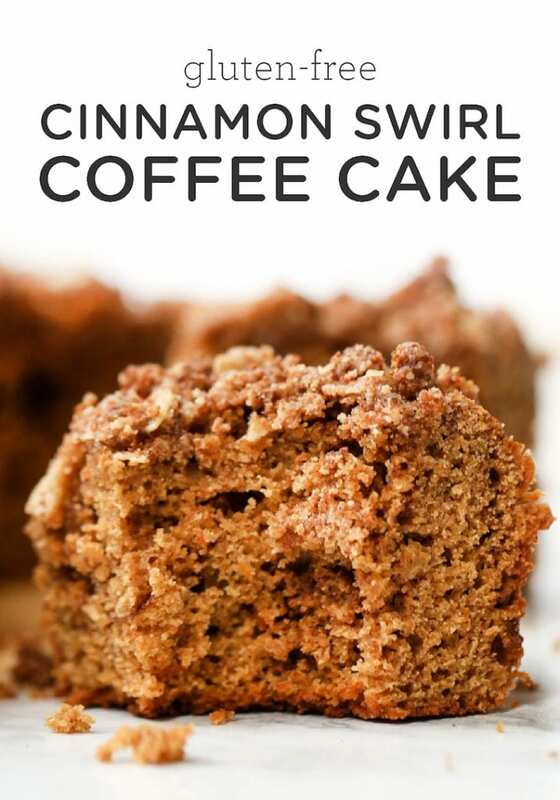 This Cinnamon Swirl Gluten-Free Coffee Cake is perfect for breakfast or brunch! 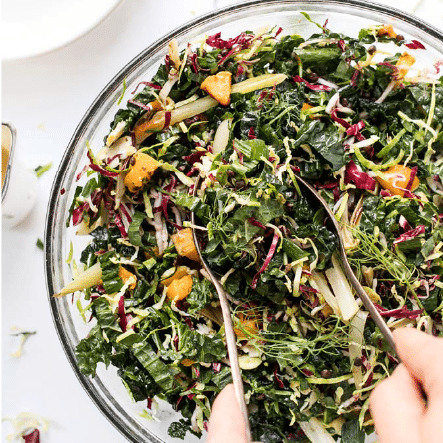 It's made with wholesome ingredients, is easy to put together and tastes amazing! Sometimes you need something a little bit fancy for breakfast, don't you think? I'm usually a smoothie bowl girl, which takes me about 5 minutes and when I'm feeling extra, it might be pancakes. 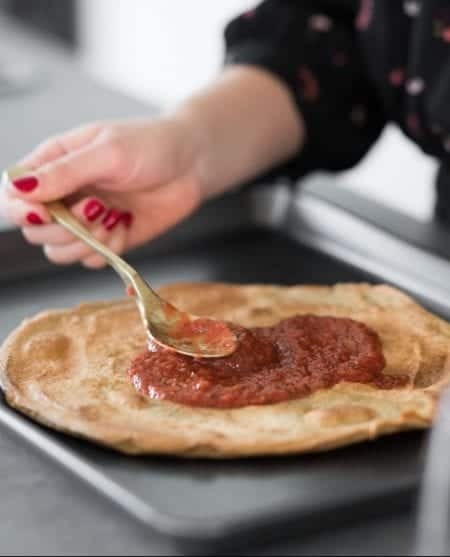 But what about those times when you want something nice to serve to a crowd and you don't want to be stuck at the stove flipping pancake after pancake? 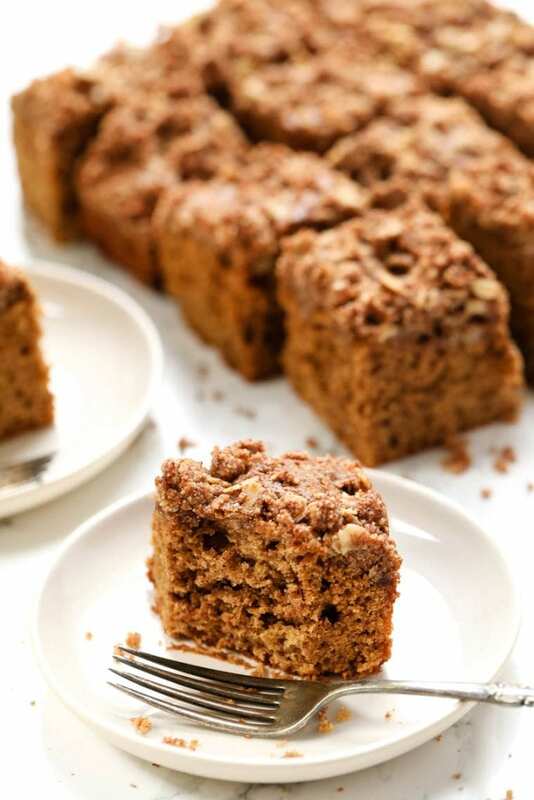 This gluten-free coffee cake is your answer! And to make it even better, we're adding a cinnamon swirl and a healthy streusel topping. This recipe is perfect for a holiday brunch, Mother's Day or just to have on a chill weekend afternoon when you're cravings something sweet! I've made a few coffee cakes on the blog before, so I stuck with a similar base, but changed a few things up. I wanted to cut back on the oil, so I swapped in some mashed banana, which adds moisture as well as some extra sweetness. If you're allergic to bananas, unsweetened applesauce will totally work! The next change I made was the flours. I've previously used a grain-based flour, but this time I wanted to try chickpea flour. What I love about chickpea flour is that it adds protein, but it also helps with structure and rise in baked goods. And finally, our swirl. Some recipes call for butter in the filling, but I decided to keep it simple and just use a blend of cinnamon and sugar. Swirled around in the middle and it's just heavenly! 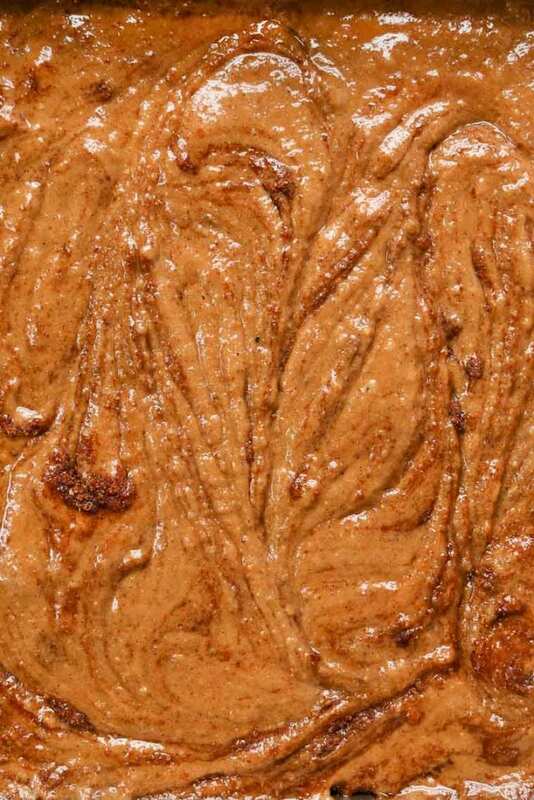 The next part of the coffee cake is the topping. While not all coffee cake recipes call for a streusel/crumble topping, the ones I love always do. I'm a big fan of the crumble! 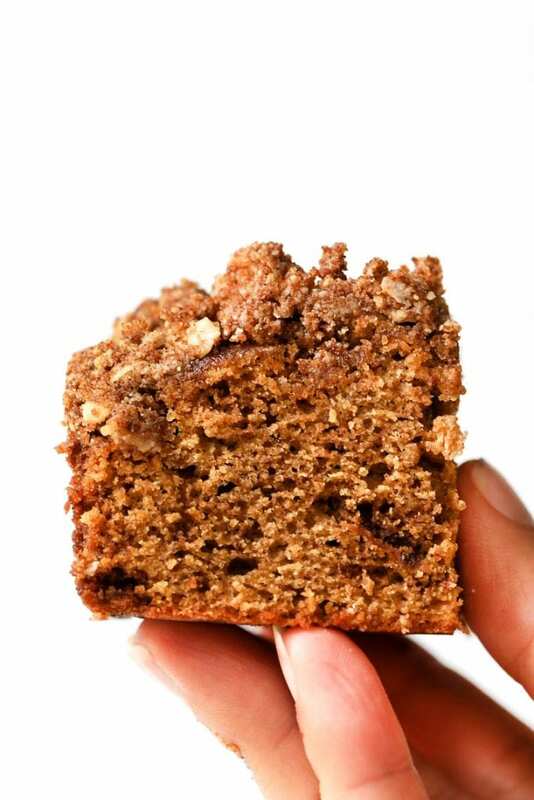 Blended all together and it yields a sweet – but not overly so – streusel that gets nice and crunchy as it bakes. When you look at the ingredient list, it might seem long (which it is), but that's the nature of the game when it comes to gluten-free baking. Unfortunately, unlike traditional baking, we can't just use one flour to get that perfect texture. We have to blend them together to help give us moisture, while also not making it crumbly and helping the baked good rise. It can be a tricky feat! This is my own tried and true combo that I use over and over again in my baking. You'll see it in everything from muffins to pancakes and it works every time. The almond flour helps make the cake moist, while the quinoa flour adds extra protein and structure. The tapioca helps to bind and lift, and the coconut is there to add some additional cakiness. The only one I've tried swapping in and out is the chickpea; that can be swapped for any other gluten-free flour. But here's my promise to you…once you get these flours into your pantry, your world of gluten-free baking will be huge! You can try nearly every baked good on this site, have light and fluffy gluten-free pancakes, tender muffins and so much more. Trust me, the investment is 100% worth it! 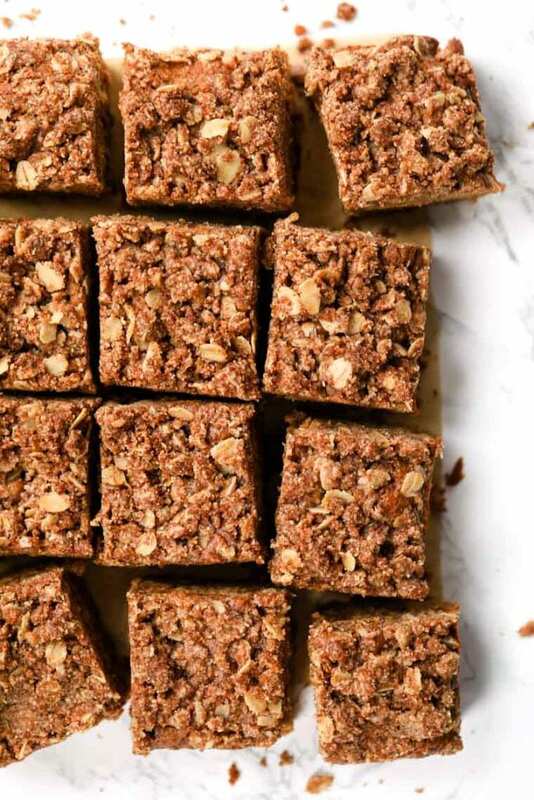 For your convenience, I've linked some of my favorite baked goods for you below (plus a few other morning faves!). Preheat the oven to 350 degrees F. Line a square 9x9 baking pan with parchment paper and set aside. In a medium bowl, whisk together your dry ingredients. In a separate bowl, combine your eggs, milk, banana, and oil. Beat these into the dry ingredients until a very thick batter begins to form. Transfer half of the mixture into your baking pan. Whisk together the filling ingredients then sprinkle on top of the batter. Top with the rest of the batter and swirl together with a butter knife or toothpick. 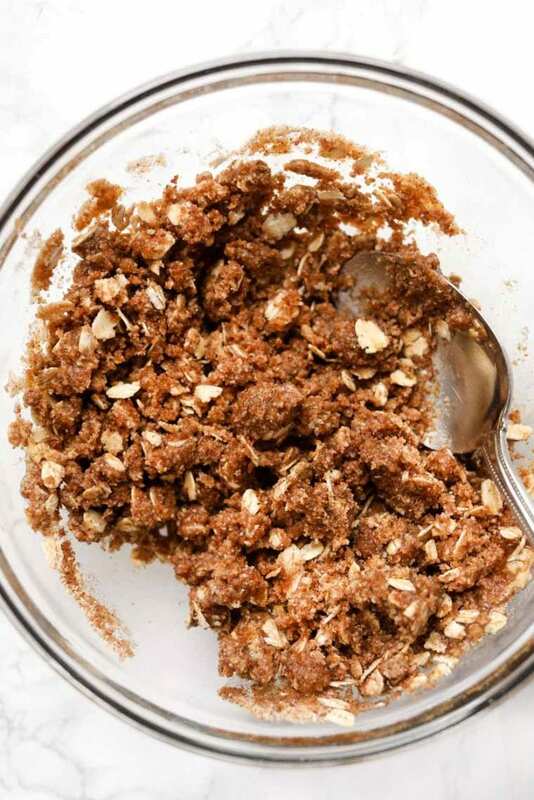 Prepare the crumb topping by combining all the ingredients into a small bowl and beat until you have a sandy texture. Sprinkle the mixture evenly over the top of the cake. Bake in the center of your warmed oven for 35 - 38 minutes. Test with a cake tester by placing it in the center of the cake. If there is nothing on the stick when you remove it, the cake is ready! Coffee cake is my favorite! I think I would just make the crumble topping and dig into that alone. 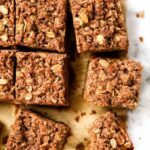 It sounds absolutely FABULOUS–would it be okay if I substituted the quinoa flour for more almond flour in the coffee crumble topping? Can another flour be substituted for the almond flour? I can’t use chickpea flour. I’m not allowed any beans or rice products. I love cinnamon rolls, but haven’t found a recipe I can use. This one is a go if I can substitute the almond flour. Hi Alyssa!! First I’d like to tell you that I love your blog, IG account and YT channel! So inspiring!! I´m celiac and lactose intolerant and most of the time the recipes that suit me are the paleo and vegan ones. Searching the internet I found your blog and been following you for some time now. 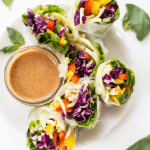 I want to try all of your recipes! 🙂 For this one, do you know what I can use in the place of the oats? My doctor says the oat protein is very similar to gluten, so I stopped eating them when I was diagnosed with the celiac disease. I’ve used quinoa flakes once in a muffin recipe that called for oats and it worked. Do you think it’s a good option? 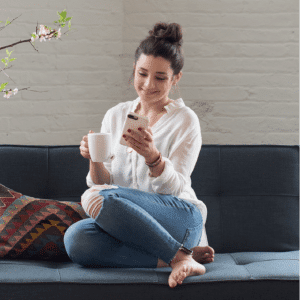 Hi Olivia – I’m so glad you found me!! Yay 🙂 And yes, quinoa flakes would totally work here! !